“It is harder to get into Salesforce than it is to Harvard. “ says the word on the street. Nevertheless, that is exactly what INTI alumnus, Choy Yew Wing (Jake) managed to do. Jake shares how he felt when he made the cut, what he does at Salesforce, and his top 5 personal grooming tips. 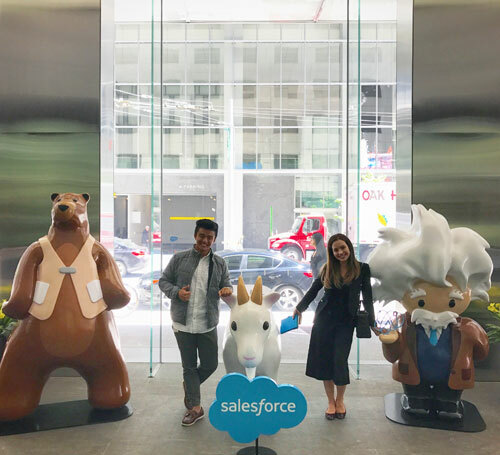 Jake and his colleague with Salesforce famous mascots – Codey the Bear, Cloudy the Goat and Einstein! Please elaborate more on your role at Salesforce and why you decided to join them. Due to the level of competition in the IT industry, innovative companies always strive to be leaders in the industry. 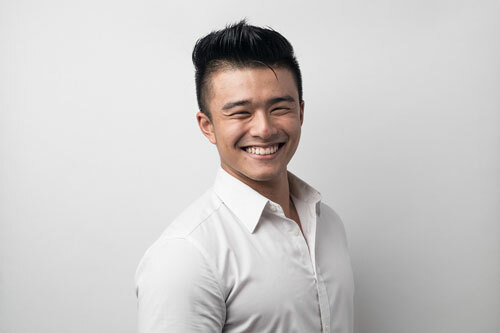 Ever since I embarked on this unlikely career path as a marketing graduate, there were a couple of companies that constantly resonated with me through their social selling platforms, competitive analysis reports and expertise in the industry. Unsurprisingly, companies like Facebook and Google were among those companies but to my surprise, Salesforce, while being something new to me, was constantly mentioned amongst my peers. Over time, I learned more about Salesforce and realized they were more than just an innovative market leader but also stood out when it came to their company culture as well. I knew I wanted to join an organization that was not only a global market leader and great at what they do, but at that point the question of why they do what they do made all the difference in my decision to be a part of this amazing, internationally recognized organization. I knew I wanted to further my career in Singapore and I would not have moved unless it was going to be worth my while. When I was offered a job with an organization that was the best at what they do and had also won the title of “best place to work” in Singapore twice in a row, I started packing my bags as soon as I got the news! What I do in Salesforce is similar to what I did in my previous role but is more targeted and requires a stronger sense of ownership. I am based in Singapore but I handle only the Malaysian market, specifically, enterprise level organizations. Therefore, on a day-to-day basis, I talk to the top five percent of various organizations’ decision makers in Malaysia to build their trust and gain their confidence in Salesforce. I come up with approach strategies through various means, be it traditional methods or digital platforms to generate interest and essentially, generate new customers for the organization. Aside from that, I work with many counterparts including the marketing team and the sales team to coordinate meetings, execute marketing strategies and be the first point of contact for enterprise organizations in Malaysia. I work with a very diverse team that covers the whole of Asia Pacific and like me, everyone has full ownership and is responsible for their own market. Salesforce has been the fastest paced organization I have ever been a part of; everyday has been a steep learning curve but undoubtedly I am enjoying the ride. Jake (bottom, right corner) with his fellow colleagues after completing Salesforce Bootcamp. What is the process of application? How many rounds of interviews did you have to go through? And what are some of the interesting questions posed to you? I initially began by connecting with people in Salesforce through LinkedIn just to get an understanding of who was in the organization and what background they came from, to assess if they hired people from a similar background as mine. One of the managers shared a post that they were hiring and I Inmailed him, telling him that I was interested in a role with Salesforce. He directed me to the job posting and just like any other job applicant, I went through the same portal. I got a reply from the recruiter after a week saying that the position was already filled. I decided to put my applications on hold and focus on my job, but a little over a month later the recruiter came back to me and told me that he was interested to interview me for another role, the role that I am in right now. I had four significantly tough interviews in total over a span of two weeks with all the stakeholders that I would be working closely with, and who were all very experienced at what they do. It was nerve wrecking to be honest. One of the challenges ahead of me was that if I were to be hired; I would be the youngest person in the whole department. Aside from that, Salesforce is known to be a huge advocate of internal promotions. Therefore, the position they were interviewing me for had both external applications by people with much more experience than myself, as well as internal applications from employees who were in the organization already. How I approached the interview was simple; do your research by knowing exactly who you’re speaking to and understand what’s important to them, be honest and straightforward but don’t be afraid to “sell yourself” if you have the chance to. I must have done something right because, in spite having so many reasons not to hire me, I still managed to stand out and prove to them that I was the person they were looking for. I have gone through many tough and interesting interviews for the jobs I wanted throughout my career, and I’ve actually had a lot of funny questions thrown to me before. One of the more memorable questions when I interviewed with Salesforce were “If you won the lottery for 20 million dollars, what would you do with the money?” One of my interviewers was a British gentlemen who shared his experience and turned it into a question: “When I had just arrived in KL I remember going around town to see the sights and try the lovely food in KL. If you were my host, what would be the top three places you’d take me?” When I was interviewing for the Oracle Graduation Program I was asked: “When you pick up the newspaper, what is the first thing that catches your attention?” I have been asked some other really difficult questions that were tricky and had to be really careful with how I’d answer but you’d be surprised, sometimes the easiest questions could be the toughest ones to answer. I always try to keep an open mind and not expect anything when I go for an interview. Sometimes we try to learn about the company, the product and the interviewer too much but the only thing we really need to learn about is ourselves. How has your experience at Salesforce been so far? From the day I was first interviewed up till now, my experience with Salesforce has been really impressive. There is a saying that goes, it is harder to get into Salesforce than it is into Harvard (I’m not kidding, you can Google it!) which makes me feel even more blessed to be a part of this extremely fast paced, innovative and fun organization. The people that I work with are really inspiring and it is such a multinational team with professionals from all walks of life coming in with a similar mindset: to be successful and love what you’re doing while you’re at it. 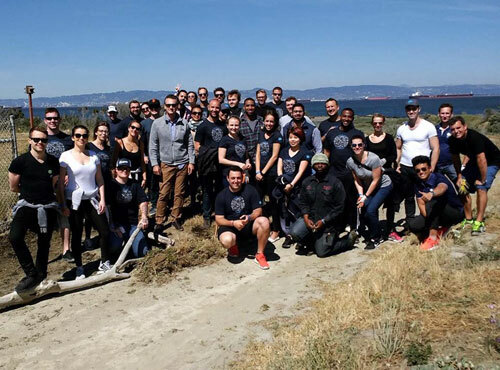 As new hires, we were sent to San Francisco to visit the headquarters and get inducted through the new hires’ boot camp that lasted 10 days. No doubt the boot camp was intense and highly competitive, but it was a whole lot of fun and I’ve made friends from all over the world. Not to mention, with the Salesforce tower building, the tallest building in San Francisco, coming up, you can’t help but feel proud of belonging to the organization because you can literally see it from miles away! Salesforce is also a huge advocate of equality and even hired a Chief Equality Officer to level out the pay gap between men, women and employees from the LGBT community, as well as to ensure that there are equal opportunities within the organization itself to help employees progress in our careers. When you are a part of an organization that walks the talk in this century, it really does motivate you to do the same. Salesforce is without a doubt one of the fastest paced organizations with huge potential, rapid growth and constant innovation. Things are always on the go and I would say the only constant here is change. It has definitely been one of the best experiences I’ve had so far to be here and I am looking forward to see how this journey will unfold. Paying a visit to this international man-made marvel, the Golden Gate bridge! Please elaborate more on the various stages of your life and how they have prepared you for where you are today. When I was in high school, I was definitely not the most studious person but I definitely was the boy who is always everywhere! I was super active in clubs, uniformed bodies and sports. I was a proud scout troop leader and an active vice president for my school’s Interact club. These things taught me a lot about being responsible for your own words and to mean what you say. It also taught me a thing or two about being proactive and made me constantly want to achieve more and be better in everything I do. After graduating high school, I continued to carry those same principles that I have learned and sought to further develop them in life. In university, I constantly participated in many student events and was a big advocate in giving back to the society through the Rotaract club where I began as a normal member and moved up to be named club President. All this happened while I ran for Head of PR for the student council and tried to maintain my grades. From a wider perspective, I remember constantly biting off much more than I can chew, and even when I didn’t know why I kept putting myself under so much pressure, I never stopped. With that, my three years of university life just flew by and there I was in my final year of the Bachelor of Marketing and Management dual degree programme with Northwood University, USA at INTI International College Subang. During that time, I found out that Laureate was selecting students to attend global events including the Clinton Global Initiative and World of Business Ideas forum, with all expenses paid! 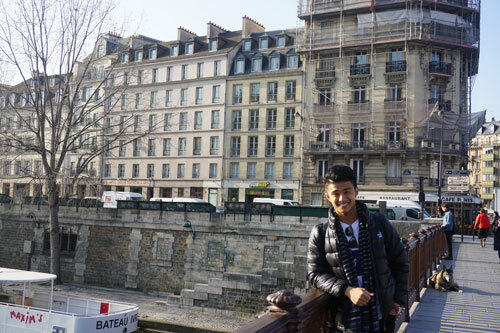 At that point of my life, I just wanted to explore the world and this seemed like the best opportunity to do so. I decided to apply without any expectations but after rounds and rounds of video interviews, I started to realize that something that I never wanted more in my life would actually turn into a reality. It was truly the most exciting time of my life because I knew that this opportunity would shape the course of my future career and ultimately change my life. Attending the World of Business Ideas Forum (WOBI) in Mexico was a dream come true for me during my student life at INTI, and what more becoming one of three student anchors to personally interview internationally recognized world leaders attending the forum. This experience was a real life changing moment as it instilled the aspiration and confidence in me to make me believe that I too could be an influential person on stage one day. It opened my eyes to how big the world really is and after listening to all the amazing things that other people are doing, I was motivated to make something out of my life. I would say that this experience gave me a different point of view to corporate life as well. 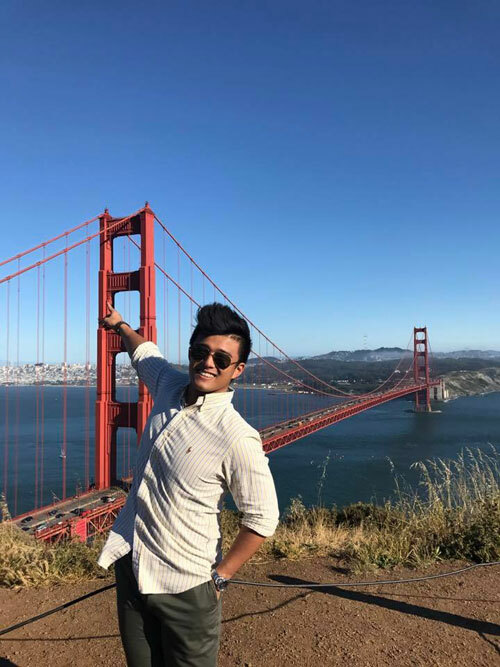 I didn’t know exactly what I wanted to do after graduating, all I knew was that I wanted to join a global company and have a global experience that allowed me to travel and I wanted to get into a management trainee program where companies would invest in me and provide me with good opportunities for advancement. I know, it sounds very far-fetched especially as a fresh graduate but the next thing you know it, I was a selected to be a part of the Oracle Graduate Program. It began in KL where I settled down within the local office there for a week and followed by one whole month in Singapore for intensive training with 30 other selected individuals from all across Asia Pacific (APAC). To my surprise, I was the only Malaysian in the whole of APAC to be selected and I would say that the intensive sessions really sharpened my skills, thinking process and opened my eyes to the IT industry. It felt amazing to be standing and competing with some of the brightest minds from across Asia Pacific. I still wonder how I ended up there till today because I never imagined myself getting into such a rewarding program. There and back again, I returned to KL and continued this steep learning curve in this innovative industry that never rests. Moving on, I decided that it was time for me to consider my next career move and explore other organizations which would be the right place for me to continue this learning journey. The things I have learned from Oracle are difficult to fit into one paragraph but what I can say is that one of the reasons they hired me was because of the foundation that I had proved to them that my age was not a hindrance or a reflection of my capabilities and that I am more than qualified professionally and personally to perform at Salesforce. With that being said, after one year and a half of learning the ropes in the industry and understanding how these corporate giants who are constantly shaping the landscape of the industry work, here I am continuing that journey with another amazing organization. Let’s see where this journey may lead me to in the near future. What are some things you wish you had learned earlier in life? To start off on a practical level, I would say I wished I had honed my native language skills a little bit more. One very important asset that we have as Malaysians would be our multilingual capabilities which gives us better context to expand our capabilities and reach out to different markets especially when you work in global corporations. I know for a fact that it is never too late as learning and education is a never ending journey, but If I was given the chance, I would have invested more time in improving the languages I already know or learn new languages when I had more time instead of cramming things with this hectic schedule I have now. On a personal level, I would tell my younger self that it’s okay to keep your head in the clouds as long as your feet stay grounded. What this really means is that I didn’t come from a background that gave me these opportunities, therefore it was difficult to really think far and big because my focus was really to get by the week or semester. Just 3 years ago if you asked me would I be doing what I’m doing at a company as prestigious as this, I would definitely have doubted myself. After the experiences I have been blessed with and most importantly all the amazing people I have met along the way, it really proves that you are who you believe you are. Don’t think a goal is too big and never ever deny yourself opportunities because the worse goal you can set are goals where you become too comfortable without challenging yourself. How important is personal grooming to a person’s professional outlook? the recruiter “What would you say is the standard dress code in Salesforce and what would you advise me to wear?” he told me “Jake, I would recommend you to dress as how you would when you meet a very important customer.” That is something I would probably tell anyone to think about if they were to go for an interview and need dress code tips in the future. The tidiness of your hair is a direct representation of your personal tidiness and it is important to always look sharp and clean because when you meet people, they look at your face and any hair that grows on your face needs to be managed especially well. It doesn’t matter if it’s casual or formal, you never want to wear something that’s too loose and makes you lose your edgy look, or something that is too tight that makes you look awkward and uncomfortable. Even if you are comfortable, other people may not feel comfortable looking at you. Finding the perfect fit is really the first thing you need to put emphasis on if you want to look good and not distract in a bad way. Aside from getting well fitted clothes, it is also good to mix and match colors. The important thing is to not overdo it. Colors bring out personality and give you a vibrancy when you speak to people, but be careful to make sure those colors don’t become a distraction instead. Always remember to brush, floss and use mouthwash after breakfast or lunch, and before you meet somebody who could probably hire you in the future. This is important because nothing shows your humility more than a sincere smile which means showing your teeth while you’re at it. Aside from that, you’d probably want to make sure your breath doesn’t smell like your last meal when you’re speaking to someone important. This is something that is known and stressed about but rarely taken seriously. Your posture says a lot about you and how you sit or stand makes a lot of difference not only to how you feel but how other people look at you. Don’t believe me? Look at two people wearing the same suit with one person slouching and one person standing in a proper upright posture and you tell me who looks better. In conclusion, be mindful about how people look at you because whoever you present yourself to could make more of an impact than you realize.